At the very least, car accidents are frustrating and inconvenient situations. At the very worst, they cause serious, life-altering injuries, untold emotional damage, and even death in some cases. The reality is that car accidents are an unfortunate part of life, and, as much as we try, they may be impossible to avoid. If you've been injured in a car accident, we can help. Through all the confusion, mounting medical bills, and aggressive insurance company calls, we can handle the hassles for you. With our free consultation, we can answer your questions and help you along the path to recovering compensation for your injuries. There are a few things you'll need before you call. We've put together a list of what to keep in mind after your car accident. While you might not have all the following information, it's good to collect what you can before you speak with our legal professionals. Your claim will move along faster, so we can take the hassles off your hands. Type of Accident – Since there are many different types of car accidents, it's good to have a description. Was it a head-on collision, hit-and-run, etc.? When – What was the date of your car accident? Where – Where did your accident occur? Who – Who were the other drivers involved? Injuries – Knowing the extent of your current injuries will help us understand more about your case. Any medical documentation is good to have as well. Did you get to the hospital by ambulance? Do you have a copy of the medical bills? 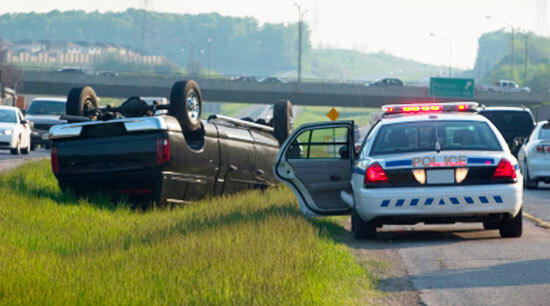 Police Report – Did you contact the police after your accident? Do you have a copy of the report? Were there any witnesses? If so, did you collect their contact information? Insurance – Do you have auto insurance? What insurance company do you use? Have you had contact with the other driver's insurance company? Do you have Full Tort or Limited Tort? Auto Defects – Were there any signs of a defective or malfunctioning product? Road Defects – Were there any hazards on the road? Scarring – Do you have any visible scars or permanent damage after the accident? Missed Work – Have you missed work because of your car accident injuries? Did your accident happen while working? Have you filed for workers' compensation? Attorney – Do you currently have another attorney representing you? As you can see, there are many things to consider after your accident. Don't worry if you don't have all the information listed above. We can help to get everything organized, so you can focus on feeling better. Car accident injuries can be life changing. We're here to make sure you get fair compensation for yourself, your family, and your future. Don't settle for anything less than you deserve.